This is an essential part of solving any problem. Once a problem is identified it can be fixed. It is also a great way to plan backup solutions when mission critical equipment breaks down. I can perform regular maintenance on a schedule to help make sure all systems are normal, backups are good, and software is up to date.  I offer specialized software support for both workstations and servers. If you need help with simple programs on your computer or systems your entire business runs off of I can provide support. I can develop software tailored specifically for your business situation. I’ve built systems for calculating quotes for one-of products, and databases for keeping track of large batches of work-flow. If you have a need for a software system that doesn’t exist yet, I can make it for you. If you need to increase the size of your network or if you need to create a new network entirely, I have got you covered. Maybe even the current network needs to be sped up a bit. Whatever it is that you need, I can do it. Anything from adding a Server to just doing a cable run. Everyone has data that they cannot lose such as tax information, budgets, family photos, original content of all kinds. Having redundant backups is essential to keeping this data, because eventually every harddrive does fail. It is so important to plan for failure a nd prepair for catastrophy. I can offer offsite or onsite backup solutions to meet your needs. Security should always be handled with utmost respect and attention to detail. If your network holds or transfers sensitive data, you should be sure that data is safe. This is a test of hardware, the network itself, and practices within your facility. I can test the strength of your network security and fix any leaks found. I offer a wide variety of Desktops, Laptops, Servers, Upgrades, Peripherals, and Networking Equipment. I can also order descrete components for repairs and upgrades. New laptops and Desktops come with a 1 year warranty standard. Execution completed in 0.0030210018157959 seconds.